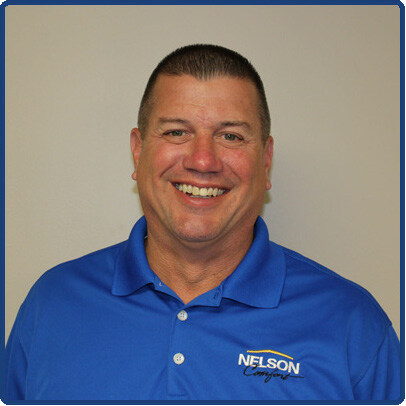 Is your HVAC unit prepared to deal with the storm season? A severe storm can inflict huge losses on homes. Luckily, there are various advances you can take to prevent these losses from happening. In this article you will read about prepping your HVAC system for stormy/rainy weather. These ensure your unit remains as protected and secure as possible in these nerve-racking conditions. At Climate Control Corp in Lexington, KY, clients are seen as the family. That is the reason why the staff is actually concerned about your losses. They will take every possible measure to ensure safety. The professionals also give you tips and guidelines that you can follow to minimize the impact of such an event. Here is some of what you can do during storms/rain to keep your HVAC unit safe. Prevention is better than cure and it is very important for you to consider these precautions. When it comes to your home and HVAC, safety is very important. This is more advice on prepping your HVAC system for stormy/rainy weather. To set up your home ahead of a thunderstorm, rainstorm, or hurricane. You can take measures like covering and securing your external HVAC hardware, putting away any free-lying objects in the encompassing territory, and preemptively tending to the likelihood of a power surge with the help of professionals. It’s imperative you prep your HVAC system for stormy/rainy weather. Set away free objects– One of the greatest culprits of storm risks is wind. It would take really solid winds to really blow over your outside unit; however, it’s extremely common for it to get harmed by flying fragments or objects. Ensure you put those things in your carport or someplace they can’t be caught in the winds. Cover external/outdoor unit – To keep anything from getting into and wrecking your condenser, it’s a smart thought to turn it off and put a tight cover over it before or during a tempest, if possible. Rely on the weather updates and call the professionals to get things done beforehand. Introduce hail guards – If there’s a potential for hail or snow, you should consider introducing hail monitors on your external unit to prevent dangers. Although you can’t do much during a storm to prevent its effects, it is highly recommended that you turn the breakers off at both. Both thermostats and the breaker box, will help put a stop to the dangers your HVAC unit is exposed to. Make sure you prep your HVAC system for stormy/rainy weather! Once the storm has totally passed, you’ll need to do a couple of things to guarantee safety. From evaluating your hardware to replacing and re-setting your indoor units and more, professional HVAC service providers can do it all. In the event that you are uncertain of whether your hardware is working fine following the storm, don’t hold back to call professional HVAC repairmen for examination. If you do delay, you might end up facing losses bigger than you imagined. 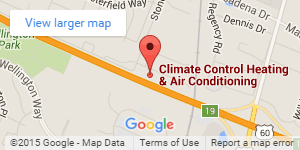 Climate Control Corp. is 100% committed to helping their Lexington clients, regardless of what the climate may bring. The technicians ensure your home is safe and do their best to minimize the effects. Call 859-469-4182 for more information or to schedule an appointment today!